I woke up this morning at 4 a.m. I gazed out of the window. It was dark; it was raining. The rain came down hard as if the clouds are in mourning. I got up 30 minutes grudgingly. You see, I had decided the day before to go to the gym at 5 a.m. I figured if I went early enough I could make it to my 8 a.m. meeting. The meeting was cancelled at the last minute. I decided to go anyway. I got up, got dressed, got into the car and started driving. As I drove to the gym, a mere 15 minutes away. I listened to the radio. There was commentary about the life of Nelson Mandela intermingled with gospel songs. I became filled with a palpable sadness. I thought about Mr. Mandela. A man who had dedicated his whole life to a cause: the freedom of his people from oppression. He sacrificed so much for this cause: his family, his own sense of freedom. He spent 27 years in prison. 27 years! 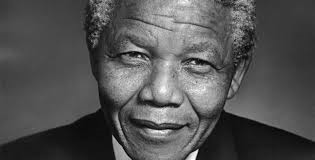 A lifetime… Africa…no the world, has lost an amazing man, an icon. But Mr. Mandela’s struggle for freedom is part of who he is. Another part of this incredible man is this incredible compassion and ability to forgive. Mr. Mandela’s longtime personal assistant, Zelda la Grange, is a white Afrikaner who was an employee of the former Apartheid government. You hear stories of him helping the prison guards with legal issues while he was in prison. What a man. It is one thing to not want to take revenge on those who have hurt you deeply. It is a totally different thing to want to help those who have wounded you. Mr. Mandela took turning the other cheek to another level, an inspirational level. Mandela was often criticized for promoting reconciliation between white and black South Africans. What was lost on those critiques is he was promoting forgiveness and healing so that South Africa could put their painful past behind them and move forward as a nation. Forgiveness: what a simple word yet an act that is unbelievably difficult for even the most generous spirit. Everyone has been hurt by someone in their lifetime. Sometimes, wounds can be so deep they leave us with lasting feelings of anger and bitterness. Anyone who experienced what black South Africans experienced during Apartheid would have understandably deep feels of anger, bitterness and resentment. Yet by encouraging his people to embrace forgiveness, Mandela was also encouraging his people to embrace peace, hope, gratitude and joy; emotions they had never experienced before. He was not asking them to do it so that the former Apartheid regime would go scot-free. Mr. Mandela was asking black South Africans to do it for themselves so that they could enjoy that sense of peace that would allow them to move on with their lives. Today, the world pays tribute to Mr. Mandela. As the heavy rain pours, the mood is solemn; the city and country is filled with a profound sense of loss. People are trying to continue with life as usual. However, today is not a day where life will be or should be usual. Today is an emotional day and rightfully so. Today is a day when we must all pause and reflect on the teachings of Mr. Mandela. Yes, he was a teacher. He taught us all about forgiveness and about living life with compassion and a lack of bitterness. Mr. Mandela taught us about leadership in every aspect of the world. For that, we thank you Mr. Mandela. Thank you. This entry was posted in Uncategorized and tagged Mandela funeral, Nelson Mandela, South Africa. Bookmark the permalink. Awesome words and thanks for sharing, Susannah! Miss you much!